Too many recycling bins at home? Waste management got your head in a spin? Household waste management seems to get more and more complicated, with fortnightly bin collections and those ‘handy’ calendars covered in coloured dots that make your collection schedule look more like an IQ test. The reason for this is, of course, that as a nation (and throughout the developed world, in fact) we are all becoming more aware of the need to conserve natural resources, and to recycle more of our waste. But how many recycling bins is it reasonable to have in each home? In some areas the colours are different, and you may also have separate containers for plastic, metal, and so on. Some places, such as Milton Keynes, might not even have wheelie bins at all, as some local authorities simply ask you to leave your rubbish and recycling by the side of the road in bags. It’s all a bit of a nightmare, as you often have to hang on to organic waste, such as garden cuttings and food remnants, for two weeks, or even longer over Christmas when your collection schedule is disrupted. Manchester skip hire specialists can help you to cope with a temporary increase in rubbish that you need to get rid of – perhaps because you are renovating your home, or you have guests and your house is busier than usual. You might find that it is no longer realistic to wait for a full fortnight between bin collections, but the alternative – taking rubbish to a recycling point, or to the council tips – might not be realistic either, depending on what vehicles you have at your disposal. With Manchester skip hire services, you can simply throw everything in the one container, for collection and safe removal at a date and time that is convenient for you. Significantly, skip hire firms now have their own commitment to effective waste management, including the separation and retrieval of recyclable waste. Because of this, you get the convenience of throwing all of your rubbish into one skip, with the peace of mind that comes from knowing that if some or all of it can be recycled, it will be, while the remainder will be sent to landfill as necessary. 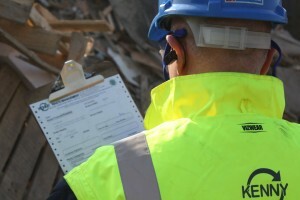 When you hire a skip, you’re probably hoping to get rid of bulky and even hazardous materials as easily as possible – but if you are bound by certain waste management regulations, you might reasonably want to know what happens to the waste, and complete your understanding and awareness of the skip hire process as a whole. First though, it’s worth considering what might happen if you don’t hire a skip; poor waste management practices can leave you in breach of environmental legislation, while the worst practices like fly tipping can lead to thousands of pounds in fines. Put in that context, skip hire is more than just a convenient way to get rid of your rubbish, it is also a very practical and affordable investment into waste management and environmental compliance. Most people probably think that when you hire a skip, everything goes to a landfill site – and by the very nature of the kinds of materials you usually dispose of in a skip, some usually will not be possible to reuse or recycle. But modern-day waste management practices ensure that the amount of general waste that goes to landfill sites is reduced as far as possible, and in some cases only around 10% of the items you discard will need to be disposed of in this way. Again, it is worth remembering that the waste sent to landfill by professional skip hire firms is disposed of in the appropriate way, in accordance with legislation – and is only one part of skip waste management. 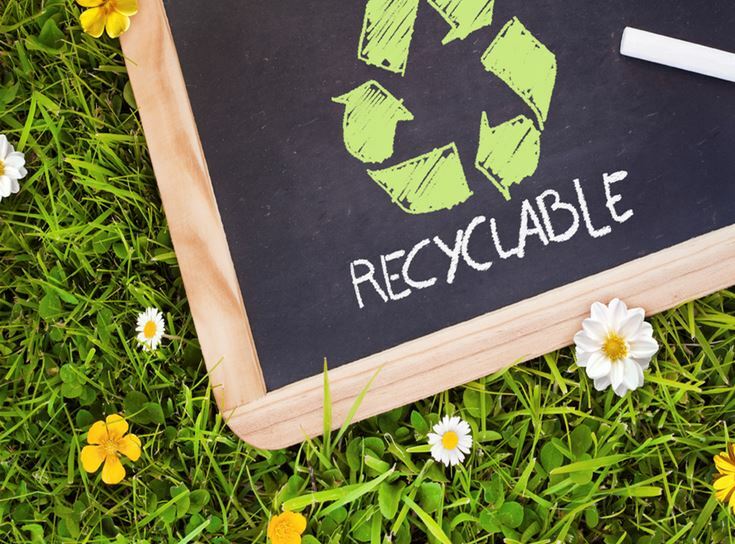 Of course, one of the major considerations for a modern-day waste management company is how to deal with recyclable materials, and here is where you benefit directly when you hire a skip. For large quantities of waste, you can hire a skip for each type of material – for example, construction sites may have separate chutes leading to skips for general rubble, metal, paper and so on. Alternatively, your skip hire firm may offer a service to sort your waste for you after collection, meaning your commitment to effective and ethical waste management extends even beyond the removal of your rubbish, without requiring any extra effort from you. Depending on the particular substance involved, hazardous materials may need special treatment, so speak to your skip hire firm for more guidance on specific waste that may pose an environmental risk. The obvious examples include batteries, which may contain acid or other harsh chemicals, and electronic goods which could be governed by WEEE (Waste Electrical and Electronic Equipment) regulations. If you have any such items for collection – and certainly if you have them in quantities large enough to fill a skip with one kind of waste – speak to your skip hire firm to learn whether you can hire a skip designed specifically for your needs, or whether a general waste skip would be suitable. Whatever you need to get rid of, when you hire a skip you enlist the help of a professional skip hire company with up-to-date knowledge of legislation and industry-specific regulations, making it easy to dispose of your waste with total peace of mind. Over recent years, waste management legislation has been tightened up to ensure industry compliance with regulations. The aims of these rules are to protect the environment and those who run legitimate businesses, like Kenny Waste Management, and challenge the stereotypes surrounding the industry, exposing those unscrupulous outfits in the process. Waste management regulations are in place to protect human health during the recovery and disposal of waste and require those in the industry to comply with permits, registration and inspection requirements. It is required, by law, that anyone storing waste on site, must hold an Environmental Permit. This effectively registers a business with the Environmental Agency and allows them to perform inspections to check waste management compliance. 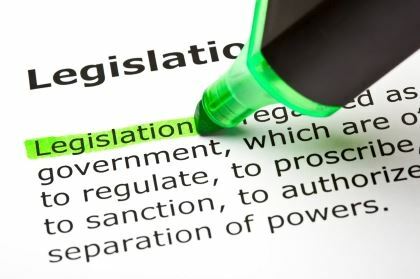 If an operator is deemed not to be following the rules, they can be subject to quite hefty fines and in the process, their reputation will be damaged. Unfortunately, there are still those in the game who shirk responsibilities and operate illegally which gives the industry as a whole, a bad name. Just last month, a firm based in Doncaster were fined £14,000 for operating a waste transfer facility without holding an Environmental Permit. The consequences of their actions were potentially dangerous; they stored uncontained waste on the ground in very wet conditions which caused an accumulation of standing water. Contaminated water could have been produced, which may have resulted in damage to the environment and just goes to show how important it is for waste management companies to abide by the law. This prosecution highlights the fact that the authorities won’t tolerate non-compliance and are clamping down hard on those who don’t co-operate. Here at Kenny Waste Management, we embrace these legalities and hold the protection of the environment close to our hearts. As a reputable business, we hold all the relevant permits and documentation so you can rest assured that your waste is being disposed of in a safe and legal manner. For all your waste management needs, call us on 0161 703 8592, visit our website or visit our site in Worsley. What is Fly Tipping and How does it Affect our Environment? The official definition of fly tipping is the illegal dumping of waste. This means the disposal of any waste in an area which isn’t licenced to accept it. Fly-tipping can be small-scale carried out by members of the public who dump household objects and rubbish or more large-scale carried out by organised criminals. Either way, people tend to resort to this illegal practice when they want to avoid the costs associated with waste disposal and most don’t stop to think about the effects of fly tipping. It is the Environment Agency and local authorities who are left with the task of clearing up the mess. The penalties for this illegal practice range in severity but if convicted, offenders in Greater Manchester can be fined up to £50,000 or be sentenced to 1 year in prison. The authorities clearly don’t condone this behaviour and for very good reasons. The effects of fly tipping are far-reaching and can blight affected communities. The aesthetics of an area can be ruined resulting in fewer people wanting to live there and having a damaging effect on the local economy. 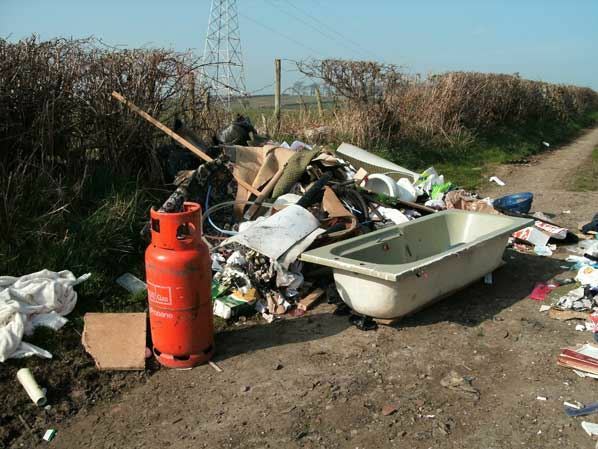 Dumped waste may be hazardous to the public or wildlife and can contribute to pollution, particularly if it becomes a target for arson. A less obvious consequence is the harm it causes to legitimate waste disposal businesses such as ourselves who are undercut on price by unscrupulous operators. These criminals can charge much lower rates for waste removal services as they don’t need to factor in landfill tax charges as they don’t intend to pay them. In England in 2012/2013 there were over 711,000 reported incidents of fly tipping which cost millions of pounds to deal with. Over the last few years, there has been a general downward trend in the amount of fly tipping occurring which may be down to an increased effort in tackling this problem. In order to stop fly tipping there needs to be a greater awareness of the effects on our environment and communities and continued investment by the authorities to tackle this anti-social behaviour. Here at Kenny Waste Management we offer affordable skip hire with the most competitive rates across Greater Manchester in an effort to put off would-be fly tippers. Our affordable rates and great service means that nobody needs to dispose of their waste by illegitimate means. We’ve all been there, its been a long boring week at work and the weekend can’t come soon enough. The weekend arrives and stupidly you have made no plans! Everyone you know is either away for the weekend or has other plans and you’re left on your own with nothing to do. This can only mean one thing… You end up resembling 2013’s answer to Jim Royale! 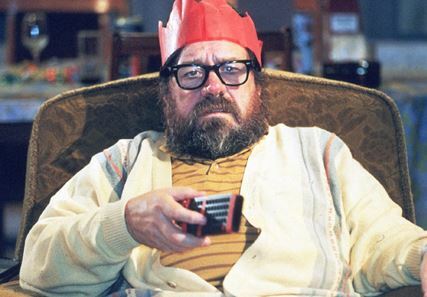 Sardonic, lazy and grumpy, you spend your weekend watching television and doing as little as possible. Your misery is matched only by your boredom and surprisingly Monday is looking like a welcome relief! However, the alternative is calling Kenny Skip Hire. Instead of spending the entire weekend sat on the sofa watching mind-numbing television, why not hire a skip and pro-actively undertake that spring clearout that has been hanging over your head for the last 6 months. By hiring a skip you can finally complete all those jobs that have been hanging over your head since the final drop of rain fell at the peak of spring. At Kenny Skip Hire in Manchester we offer the most affordable and comprehensive range of skips in the whole of Greater Manchester. With a choice of traditional skips ranging in size from mini 2 to 14 cu yd, you can be sure that we have the perfect skip for your weekend at home. Furthermore, our low cost skips can be hired by the day and are suitable for the removal of bricks, soils, concrete, household waste, general builders waste following the installation of a new kitchen, fitting of a new bedroom suite or removal of heavier builders waste arisings. So call us at Kenny Skip Hire Manchester on 0800 907 0073 or visit our Skip Hire Manchester page for more information on our low cost skip hire services across Manchester. Waste Management has become a major issue of concern when it comes to focusing on the cleanliness of communities. In some areas community groups have started to gather in a bid to organize and manage the coordination of removing garbage in their localities. However, there is an easy alternative to community waste management task forces. Kenny Skip Hire offer bespoke Skip Hire solutions. Customers can hire Skips in accordance with their personal requirements. 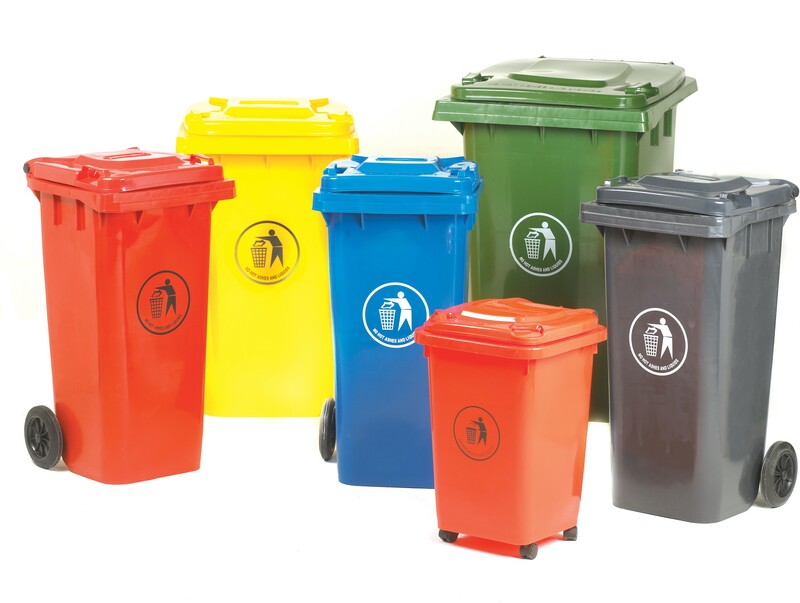 The company has set the standards and leading the competition by designing tailor made skips that meet customer needs in waste management. The feedback that Kenny Skip Hire have received from customers has all been positive. A huge advantage of our service is the convenience in timely garbage disposal without having to wait for general period when collectors show up to take the waste. Punctual waste disposal has obvious advantages to local micro-environments by keeping away swarms of flies and vermin. The skips provided by Kenny Skip Hire are of reasonable sizes that allow you to dispose huge chunks of waste in a single trip. This saves time that would otherwise be used making trips to and from the dumping sites. Skips are also very cost effective in the long term. 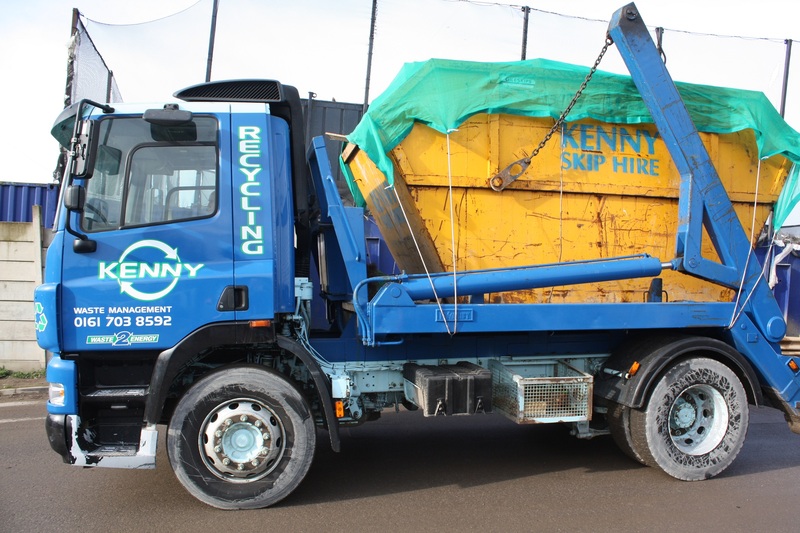 Kenny Skip Hire offers a low cost skip hire service of unmatched quality to serve bespoke waste management needs. So if you’re in need of a Skip call Kenny Skip Hire In Manchester on 0800 907 0073 and one of our friendly customer service representative will be more than happy to help you. 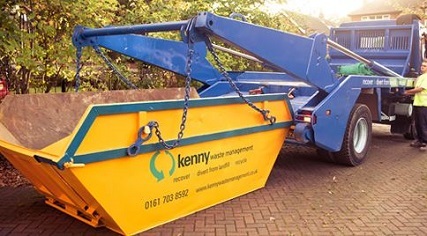 At Kenny Skip Hire In Manchester, we have been at the forefront of the skip hire industry across the North West for many years, and we are the “go-to” company for low cost and quality skip hire in Manchester. Though we are recognized and known across the North West in the skip hire and waste management industry, few of our customers know our company history, core values, our long term aspirations and, ultimately, our vision for the future. 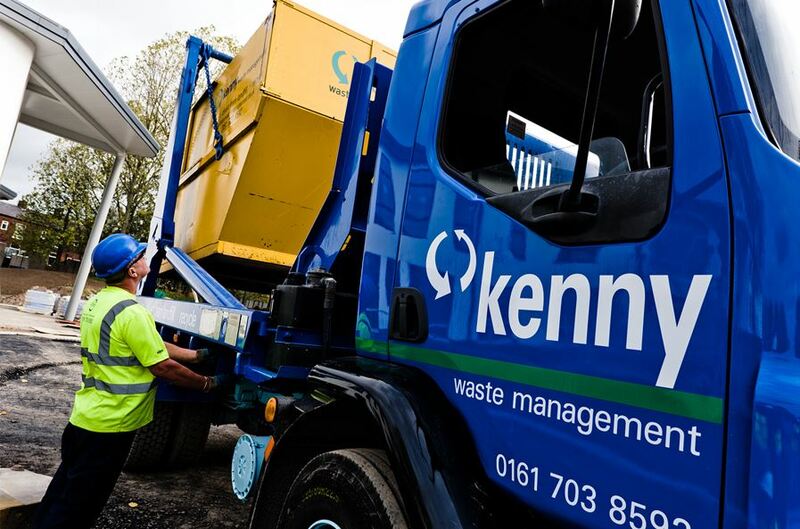 As a company, Kenny Waste Management and Skip Hire Services, specialise in the provision of bespoke waste management and skip hire solutions throughout the North West. Established over 20 years ago, we have built a reputation to envy and have become the waste management and skip hire company of choice for hundreds of companies ranging from blue chip multi-nationals to local builders. The bespoke and effective solutions we offer can be tailored to meet the expectations of any customer and this is why we are considered an industry leader. Our processes are led by our 3 core values… “Recover > Divert From Landfill > Recycle” and each month we process over 10,000 tonnes of waste from an entire cross-section of waste producers. Furthermore, our bespoke waste management and skip hire solutions assist our customers in remaining fully compliant with all current legislation. Driven by our core values, we have a commitment to become a zero landfill company and we are working towards recycling 100% of waste processed. At present, we are recycling in excess of 93% of all waste processed at our facility. Moving forward, we have a clear and simple vision – To be the best we possibly can be for our customers and the global environment, enhancing closed loop recycling in the UK and generating UK based sustainable jobs. So there you have it, an insight into Kenny Waste Management and Skip Hire In Manchester. If you want more information on us as a company, or our skip hire rates and delivery, then contact us on 0800 907 0073 or visit our homepage. So, what skips do we offer? 1. 2 CU YD Mini Skip Hire – Being our smallest skip this is obviously the cheapest option when it comes to our range of skips. The mini skip hold approximately 25-30 bin bags and is ideal for small house and garden clear-outs. 2. 4 CU YD Midi Skip Hire – This skip is ideal for bathroom and kitchen re-fits and can hold approximately 30-40 bin bags of waste. 3. 8 CU YD Maxi Skip Hire – Being the largest skip suitable for domestic waste this is the perfect option for complete house clearances and renovations. It can hold up to 80 bin bags and is a great option if you’re looking to park a skip on your driveway during a clear out. 4. 14 CU YD Skip Hire – This is our largest skip is ideal for builders and construction companies. It can hold up to 200 bin bags. The 14 CU YD Skip is ideal for large house clearances, large shop fitter jobs and large amounts of shop fitter waste such as wood, metals or plastics. As you can see we pretty much cover all bases with our range of skips from Mini Skip Hire to our 14 CU YD Skip. A skip can be used for anything from a bedroom re-fit to a complete garden landscaping, and you want the right skip to suit your personal needs. Therefore you should contact the experts at Kenny Skip Hire for expert advice on Skip Hire in the North West on 0800 907 0073 or visit our website. In recent research carried our by the Greater Manchester Waste Disposal Authority, waste being sent to landfill has reduced from 514,000 tonnes in 2011/12 to 467,000 tonnes in 2012/13. The decrease in waste means that we saved more than £40m in landfill tax in 2012. Diverting from the landfill has always been our main objective, which is why we find it important to provide a healthy waste management service. Our Skip Specific Waste Report provides all the details of the materials contained in your skip. On arrival at our facility in Manchester we weigh each skip and the contents are tipped for our Waste Compliance officer to complete the report. For more details on our Skip Hire Services just visit our website or contact our team on 0161 703 8592 and we’ll tailor your waste management needs to your requirement. Three firms were fined with a total of £31,000 due to flytipping in the Doncaster area. Tons of illegal construction and demolition waste were dumped in 2010 and 2011 by two skip hire companies where they admitted operating illegal waste operation with no environmental permit in place. The illegal waste was unlawfully dumped in Hurst Plantation, where asbestos was later found within the dirt track made up of soil, plastic containers etc. To find out exactly what we do with your waste visit our skip hire homepage. We ensure our clients that their waste is dealt with in an environmentally safe and controlled manner.